I had planned to tell you what great cars you can treat yourself with for £5000, but then something amazing happened: a phone company decided to charge £1k for one of its products. Even more incredibly, there are loads of people prepared to pay that price... for a phone. Good luck to them. It is a free world and I am sure the phone is fantastic. It’s just that it is still possible to buy a phone with a car attached. Indeed, our recently departed BMW X5 had a Nokia plumbed into it. I didn't use it, but it got me thinking about what sort of connected cars we can still buy for a few grand – or a couple of iPhone Xs, as my trade friends now call it. The reality is that there are lots of cars from the 1990s and early 2000s with handsets attached. Sellers don’t want to tell you, or think it is irrelevant. However, the attached phone is fast becoming the classic car must-have, so buy one now before they get ripped out. 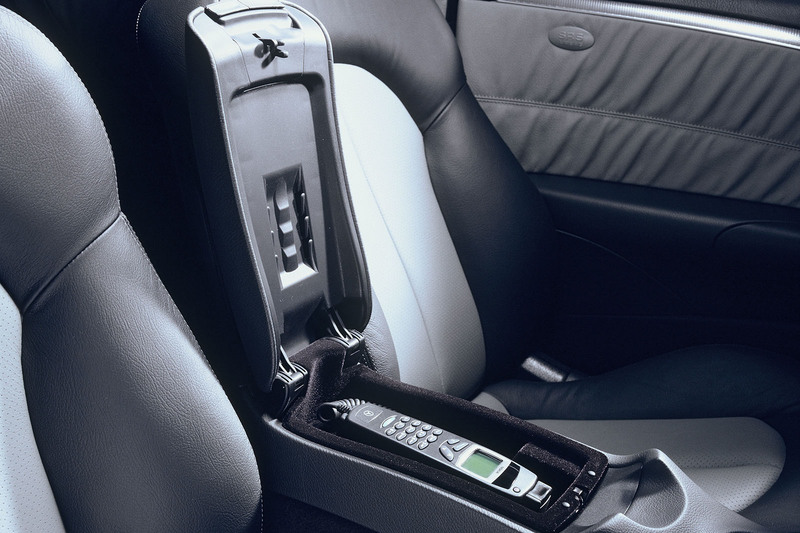 If a mobile phone belongs anywhere, it is in the centre console of a Mercedes-Benz S-Class 3.2. I found a 2001 example with just 119,000 miles and it had a full service history too. Best of all, it had a Nokia 6090 in the rear armrest. All this, including Nappa leather upholstery, for just £1695. Most BMWs from that era have Business packs and you can at least find the preparation in place for a phone. Just as an example, another vehicle from the connected golden era of 2001 is a BMW 320d, which was standard issue back then to the company-car masses. At £1450 and 82,000 miles, with the prep ready for a Nokia 3110, it seemed tidy enough. However, I much preferred a 2002 330Ci with similar miles and recently reduced in price to £1600 that could also be connected to a Nokia. Meanwhile, E39 BMW 5 Series prices are certainly on the up and I came across a 2000 528i M Sport at a rather pricey £2950. It was looked after, had 18in alloys and a Nokia system, but wasn’t a V8 model. 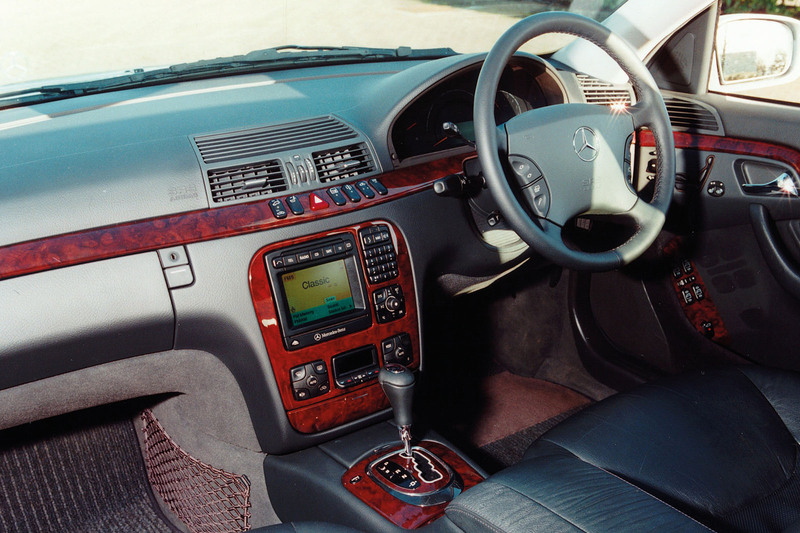 Otherwise, the majority of phones with cars attached were E- and S-Class Mercs. However, my head was turned by a 2002 CL500 with an AMG bodykit and just a Bluetooth phone cradle (which is progress but hardly the same), with 85,000 miles and at a tempting £4250. This is the thing about used-car buying: a peculiar interest or even colour can get you looking at all sorts of things,although for me it has been the usual German-built business mobiles. My only regret is not finding a fax machine-equipped 7 Series like the one I wrote about here years ago. There’s still time. £1000 for a phone ? Madness - you can get a brand new top spec phone with all the same components inside as a £1000 phone for 30 - 50 % of the price. How ? You buy one with a Chinese brand name on the front instead of a western/Japanese/Korean brand name one. And before people scare monger about Chinese products, most phones originate from China/Taiwan anyway regardless of the name on the front, plus half of the UK mobile phone network's transmitters are from Chinese companies. The ONLY thing you do not know...is that we are all completely fed up with you expressing your blinkered opinions...on everything...so NOW you know...GO AWAYYYYYYYYY. ... The same wannabes who by VAG products. VAG is for people who appreciate quailty. Period.